Giada has this week added a new addition to their range of mini desktop PC systems, in the form of the newly launched Giada i58B that is equipped with an Intel Core i5-5200U an ultra low voltage processor. 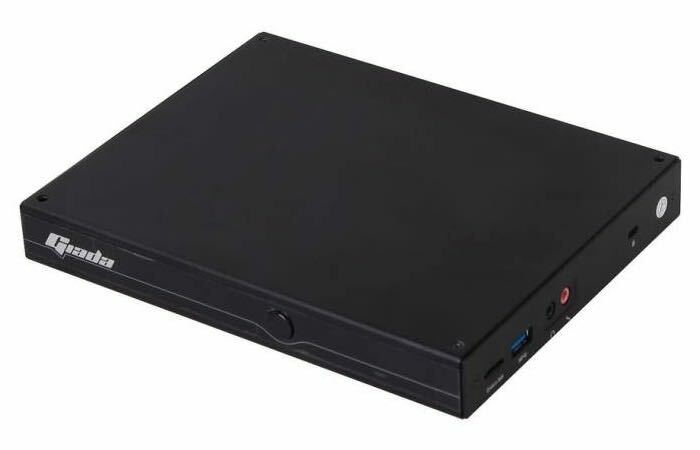 The slimline mini PC measures 190 x 149 x 25.5 mm is also fitted with a HDMI and DisplayPort, 4 xUSB 2.0 ports, 1 x USB 3.0 port, a microSD card slot, and a serial port. Unfortunately the desktop mini PC does not have integrated wireless connectivity although a Mini PCIe port is provided allowing you to install your choice of wireless card. For more information on the new Giada i58B jump over to the Giada website for details.